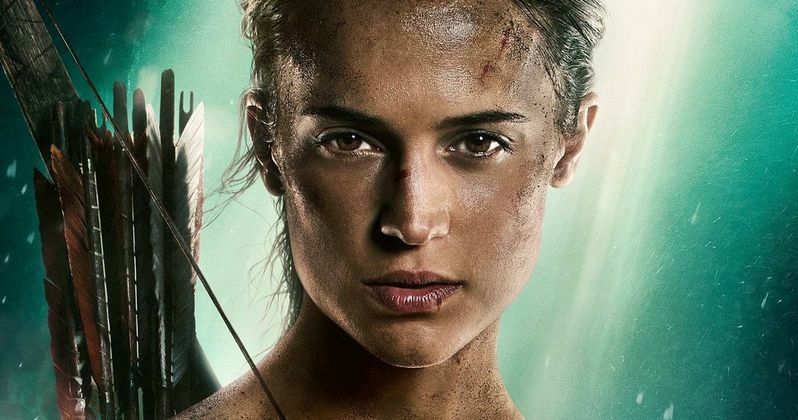 It was confirmed last March that this movie adaptation is based on the current Tomb Raider video game series, which was launched in 2013, focusing on a younger Lara Croft as she just starts out as an adventurer. As expected, this movie also follows a similar story with Lara searching for her long-lost father. Lara Croft, the fiercely independent daughter of a missing adventurer, must push herself beyond her limits when she finds herself on the island where her father disappeared. Tomb Raider also stars Dominic West as Lara's father, Lord Richard Croft, Walton Goggins as the main villain, Mathias Vogel, Daniel Wu as Lu Ren, Hannah John-Kamen as Sophie, Kristein Scott Thomas as Anna Miller and Nick Frost in an unspecified role. Warner Bros. has set a March 16, 2018 release date for Tomb Raider, which puts it up against 20th Century Fox's Love, Simon and an untitled horror movie from A24 Films. It also falls between two rather competitive weekends with five movies arriving on March 9, 2018 (A Wrinkle in Time, Gringo, The Hurricane Heist, Strangers: Prey at Night and The Upside) and five more on March 23, 2018 (Pacific Rim: Uprising, Action Point, Midnight Sun, Sherlock Gnomes and Unsane). Roar Uthaug directs Tomb Raider from a script by Geneva Robertson-Dworet, based on the iconic video game series. The original Tomb Raider movie starring Angelina Jolie as Lara Croft, remains the highest-grossing video game movie at the domestic box office with $131.1 million, although Warcraft has the worldwide record with $433.6 million, almost 90% of which came from overseas territories. Take a look at this new Tomb Raider poster below, courtesy of IMP Awards.